It's been 4 weeks and I'm preparing to take them out. 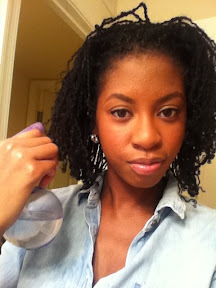 But, before I do that, I wanted to share how I maintain my twists. I wet them everyday. Either with a spray bottle or dipping my ends while in the shower. I use a sulfate free shampoo every 2 weeks. 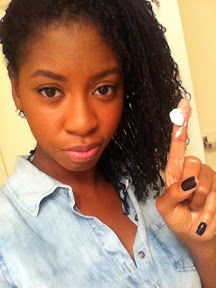 I focus the product on my scalp and rinse. 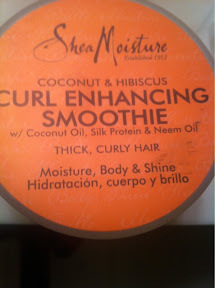 As for conditioner, I use VO5 Moisture Milks. 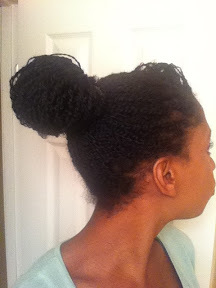 It's the lightest one I have around and is best to avoid buildup in my twists. Once my hair dries I retwist the twists around the perimeter of my head. They tend to loosen during the process. At night I put my hair in a high ponytail and sleep in a scarf or on a satin pillowcase. 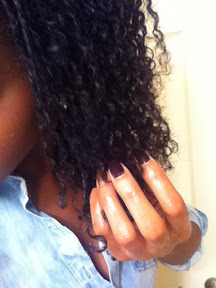 I tried doing the mini twists thing last week and it was an epic fail. 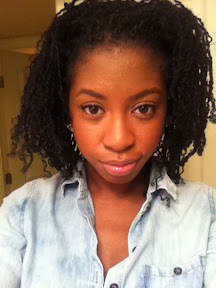 I know my hair is pretty thin and I did my twists on dry stretched hair but they still just didn't look good. They were very thin and spaced out which I hated. I'm not giving up yet, I will be giving them another try soon.